Choose a face scrub that’s right for your skin type and consider using a gentle exfoliating sponge to avoid irritating your skin. If you have naturally oily skin, exfoliating is a great way to draw a pimple right to the surface and renew your skin cells. Moderate levels of heat and steam can open up your pores and allows impurities to naturally escape. They can also reduce irritation and redness associated with pimples. Natural face masks should contain pimple-fighting ingredients to boost your skin’s recovery. With a bit of discipline and a few deep breaths you can learn how to stop pimples from popping up so often. Follow these five helpful tips to prevent outbreaks. Remove your make-up thoroughly – don’t let it block or irritate your pores. Face wipes are always handy for this. Cleanse – use a good cleanser suited to your skin type that will keep your skin fresh and free from excess oil, without drying it out. Moisturise – keep your skin balanced with a light, oil-free formulation for pimple prevention. This is easier said than done! Stress affects our physical health and can cause physical symptoms, including pimples. Taking some time to exercise, take a bath or meditate is great to reduce stress. Vitamin A – reduces sebum and helps skin cells regenerate. Try spinach, carrots, kale, papaya, cantaloupe or sweet potatoes. Antioxidants – help fight free radicals in your body. Try cocoa, a small square of dark chocolate a good antioxidant fix. Vitamin C – helps the skin produce collagen for a fresh looking complexion. Try citrus fruits, broccoli or bean sprouts. Omega-3 and omega-6 – help keep your skin supple. Try salmon, avocados, nuts and olive oil for more unsaturated fatty acids. Always remember to drink plenty of water or unsweetened tea to help flush out toxins and avoid drinking soft drinks if you can. Most adolescents get pimples due to their changing hormone levels and increased sebum production. This often leads to clogged pores, blackheads and pimples. Adults can also experience pimples as a result of hormonal fluctuations, their skin type, lifestyle and level of stress. For women, the body’s hormonal balance shifts in certain phases, such as before a period or during pregnancy. These hormonal shifts can make your skin react more strongly to external factors and cause more blemishes to form than usual. Before deciding on the right skin care product, determine what type of skin you have. Not sure what your skin type is? 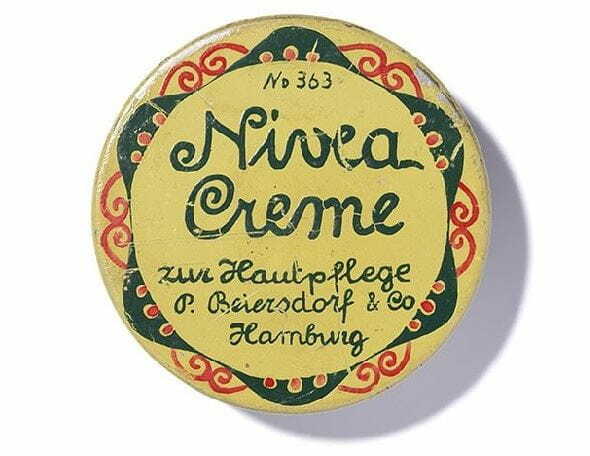 Take our quick and easy NIVEA skin type test. Learn about the characteristics of your skin type and discover the best skin care products for you. Rich or oil based skin creams can make your skin feel overly greasy and sometimes even block your pores. Dry skin needs a lot of moisture. Moisturiser supports your skin’s natural protective barrier and prevents bacteria from penetrating your pores and causing adult pimples. Stress is a major trigger for adult pimples. When you find yourself becoming stressed or anxious take three deep breaths to slow down your heart rate. Plus, try to organise your daily schedule in a way that you can treat yourself to moments of “me time”. A relaxing bath or a few minutes of quiet meditation can also work wonders for your stress levels. If your adult pimples are persisting and causing you excessive grief, talk to your GP or a dermatologist. They can discuss your options around a prescription for an adult acne treatment.